As the nation gears up for the 2018 Alamo Bowl where Iowa State takes on Washington State, San Antonio is gearing up for one of its biggest tourist attractions of the year. San Antonio’s rich cultural history is sure to give you the true taste of Texas that leaks into every piece of the city, including San Antonio International Airport. Serving more than 9 million travelers every year, SAT brings you Texas flair and a variety of travel perks with every visit. That’s why we at InMotion want to help highlight all that San Antonio International Airport has to offer --- because whether San Antonio is your destination or just a stop along the way, you’ll be sure to have a Texas-sized good time at SAT. If traveling to Texas means anything, it means spectacular regional fare. 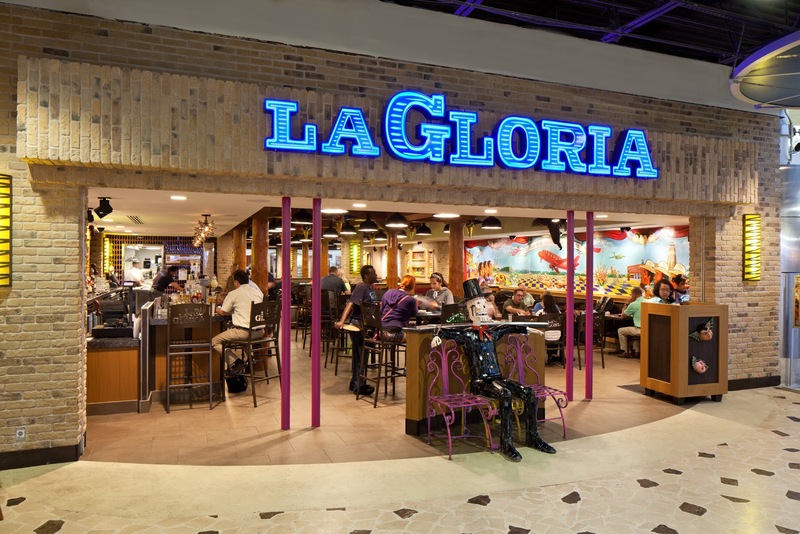 As somewhat of a staple in San Antonio, La Gloria - an authentic mexican street food restaurant - is perfectly nestled in Terminal A of San Antonio International Airport. La Gloria translates to “the heavens:” a place where Chef Johnny Hernandez will instantly transport you with tasty tacos, molcajetes, tlayudas, and fresh-made flan. With an expansive drink menu full of Mexican beers, wines, and tropical cocktails, your travels will be a flavor vacation in their own right. Make sure your layovers and time spent enjoying the authentic cuisine at La Gloria are never disconnected from friends and family by a dead device. Solve all your battery life problems with Mophie’s Powerstation Plus XL with Lightning Connector - a 10,000mAh portable charger for charging when you’re on the go. 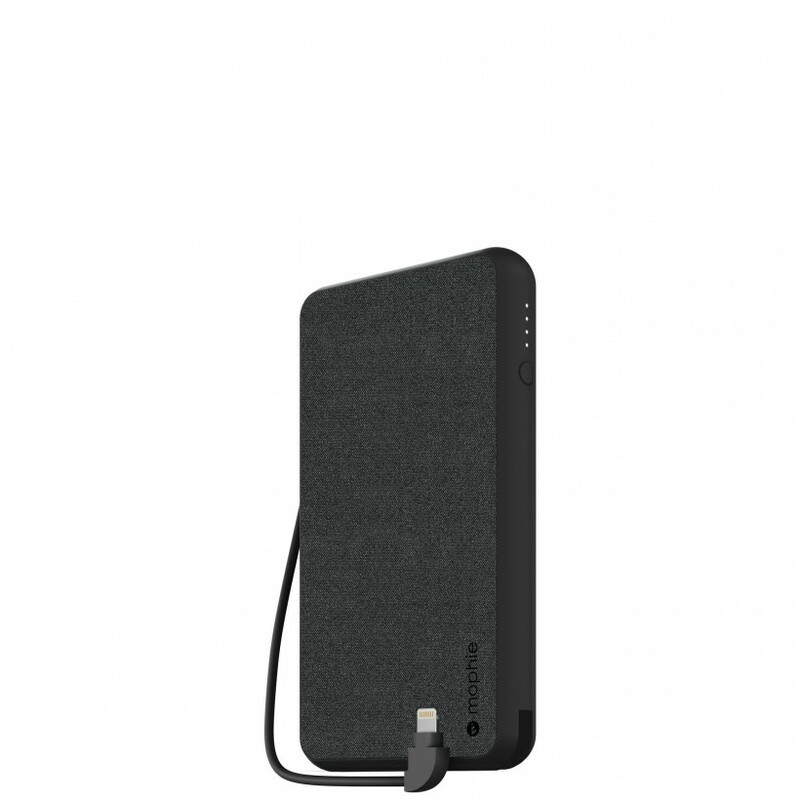 With a soft fabric finish and the ability to charge two devices at once, the Mophie Powerstation Plus XL with Lightning Connector is the perfect travel companion for your pocket or carry on. Integrated with an Apple Lighting Cable, this 10W USB-A makes recharging during meals and hanging out before your flight easy and convenient. San Antonio International Airport - as a facility belonging to the city - is home to both permanent and temporary art exhibits that highlight the feel and culture of the city. Right now the airport features “The Suitcase Wheel” by Texas art duo ‘The Art Guys’ who are known for their repurposing of everyday materials into magnificent art pieces (and a website that is up for interpretation of its own). 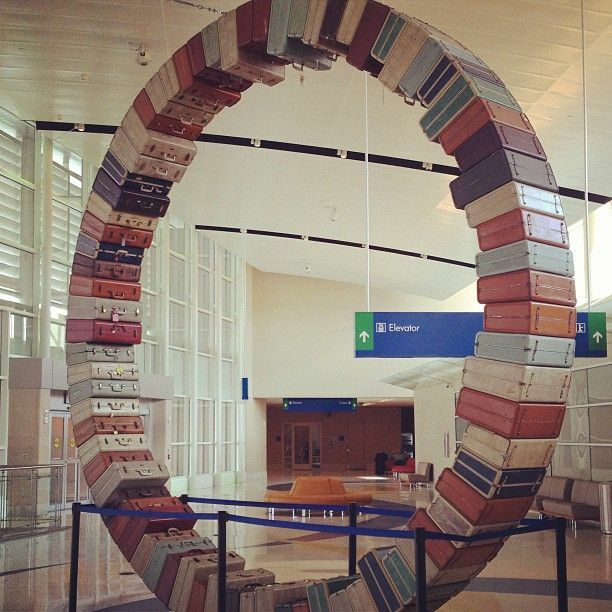 Among one of the many pieces that inspire nostalgia and excitement among travels, The Suitcase Wheel is just one piece of the array of eye-catching installations at San Antonio International Airport. For projecting a different kind of art - audial art, that is - everyone needs a quality bluetooth speaker. Warm the hearts of friends and family or light up a room with excitement with the JBL Charge 4 Portable Bluetooth Speaker. 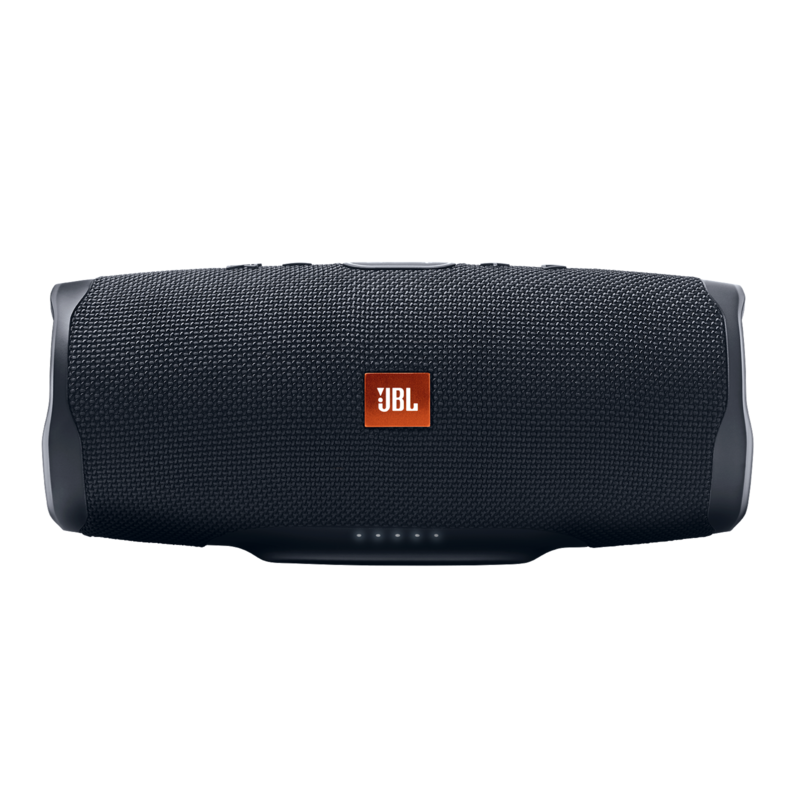 Featuring 20 hours of battery life and the ability to connect wirelessly to two devices at once, the JBL Charge 4 provides solutions to many age-old problems with portable speakers. For added convenience on the go, the rugged, waterproof speaker can charge your device while playing music, making it a great two-in-one travel companion that will never leave you disconnected from your music or the outside world --- meaning you can continue to grace the world with musical arts of your own anytime, anywhere. Nothing is worse than boarding your flight only to realize you left behind your headphones or charger, making for a boring flight and stressful ordeal of finding a phone charger once you reach your destination. Located in both terminal A and B at San Antonio International Airport, InMotion is there to resolve your tech-related dilemmas while traveling. 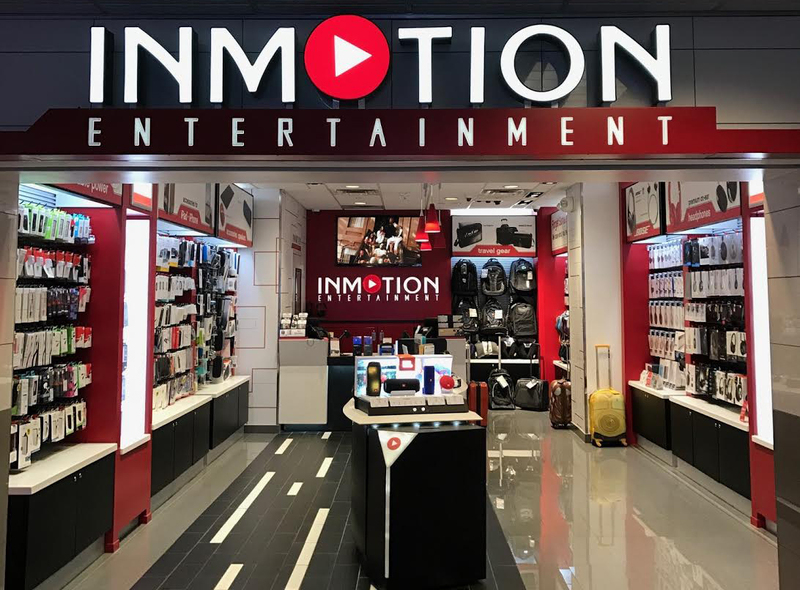 As the ultimate airport electronics store, InMotion carries everything from Bose headphones, official Apple products, and T-Mobile Tourist Sim Cards, so all of your travel needs and vacation mishaps are satisfied all in one place. 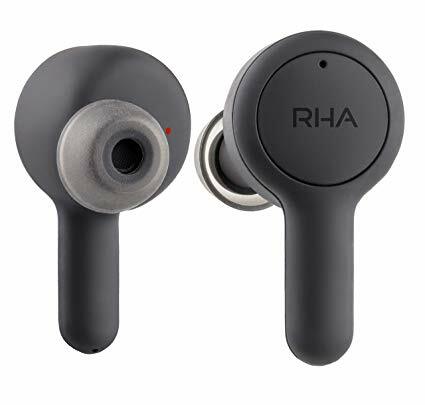 Among a variety of great products at InMotion is RHA’s TrueConnect True Wireless Earbuds - a listening lifesaver for travelers and anyone on the move. The RHA TrueConnect True Wireless Earbuds have 25 hours of fast-charging battery life on the go, digital assistant control via touch, and a built-in mic for earbuds to make your life easier. Sweat, weather, and splash resistant, the TrueConnect True Wireless Earbuds have a tight fit and are perfect for those with an active lifestyle or are constantly on the move through terminals and venturing through new cities. As an exemplary piece of proof that an airport can bring the culture of the city to its travelers, San Antonio International Airport surprises visitors with locally-inspired cuisine and stunning art installations. As an airport that satisfies your every need - from food to tunes - every adventure to San Antonio will leave you satisfied and excited to return. When you’re in a pinch for the technology you love when traveling at San Antonio International Airport, trust in InMotion to keep you connected and make your journey as seamless as possible.